May 18, 2012 – Journey to my heart…. The mystery and the miracle…. And so I am surprised when I read a verse in scripture that sounds new and fresh to me. 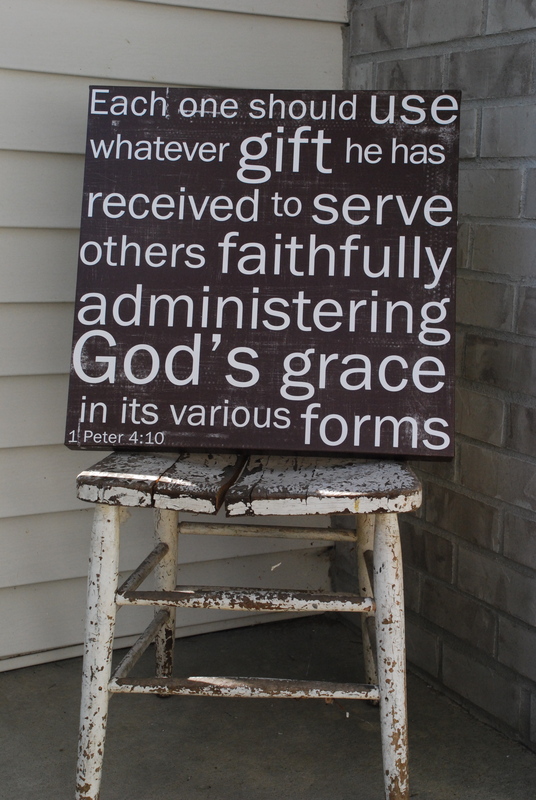 I love the idea that when I am using my gifts to serve others faithfully, that God will channel His grace through…. I can’t explain, I don’t understand it, I marvel at it, I am grateful for it! I wonder what you will be doing tomorrow to ensure God’s grace is administered…..enjoy and marvel at the mystery and the miracle! Author trishborgdorffPosted on May 18, 2012 Categories UncategorizedTags 1 peter, miracleLeave a comment on The mystery and the miracle…. 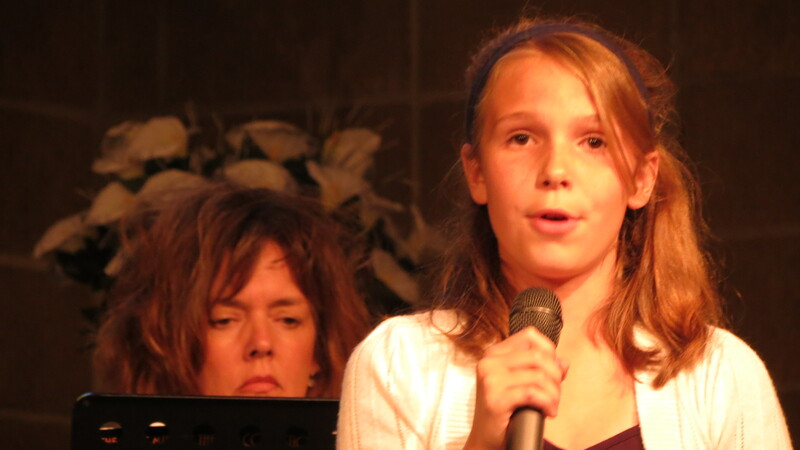 And tonight some of that talent was celebrated at Muskegon Christian School. I am grateful for schools that encourage my nieces and nephews to practice their courage and celebrate their gifts. Ellie asked me not to put her video up, and I will honor that, but her voice was clear, her courage big and her heart is full of love. I am proud of you Ellie Grace! You are gifted and full of talent and I love you very much! Karolyn Anne, your voice was crystal clear tonight and your talent also was evident and your beauty shone through your eyes, your voice and your presence. I pray every day that God will use your voice to bring you to amazing places of wonder and adventure. I love you my dear and am proud to share your video with all who will take a moment to listen! To skip the introduction comments which include teachers jesting Karolyn’s Dad who is the principal, forward to 35 seconds where the song begins! America does have talent and that talent is around us (and within us) every day. I hope you will be as bold and courageous and Karolyn and Ellie in sharing some of yours to spread love to others today!